Alla Nazimova died on July 13, 1945, in Los Angeles, as a result of a coronary thrombosis that she suffered in her villa at the Garden of Allah Hotel. 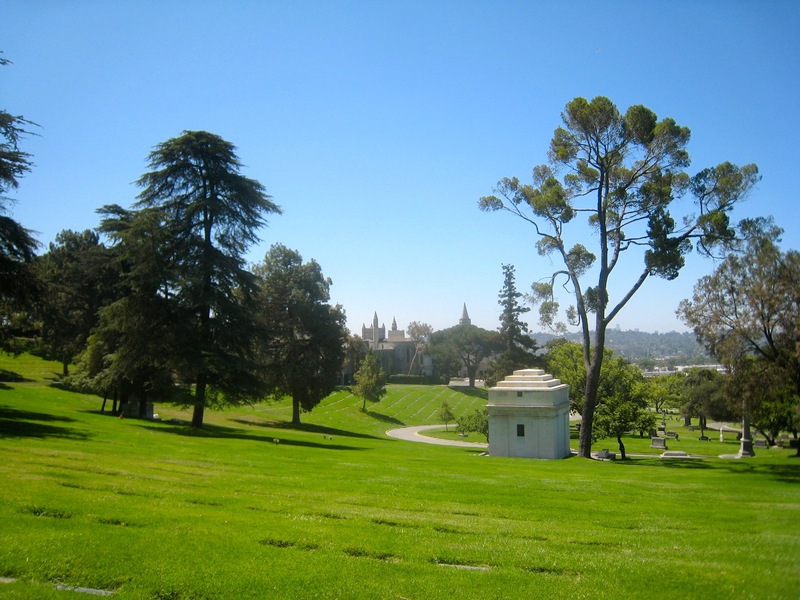 She was buried in Forest Lawn Glendale. “Voice of World’s Conscience – Immaculate beyond our concept – Christ is they name. Teach us to shun the ways of greed and prejudice and strife; to earn our bread, to share our bread; to heed, to follow Thee forever. 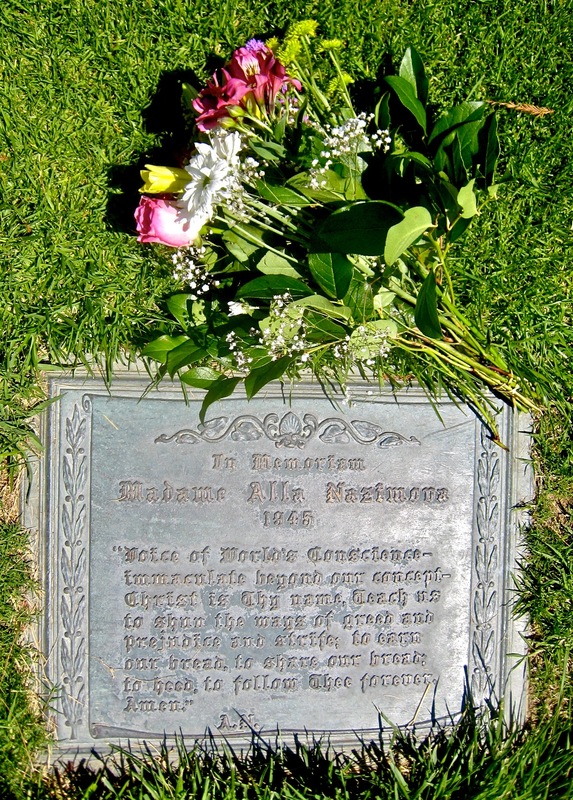 Nazimova appears to have acquired three contiguous grave sites — one for herself and one on either side. This is notable now that, except for the spaces on either side of her, every other site on the hill in the Whispering Pines section is taken. Nazimova’s long time partner Glesca Marshall was supposed to be interred next to her, however Glesca passed away in Columbus Grorgia almost 40 years after Nazimova and Glesca was buried in Georgia. She left her entire Nazimova collection to the Springer Opera House. I was fortunate enough to know Glesca and listen to her stories of old Hollywood and the love of her life Nazimova.